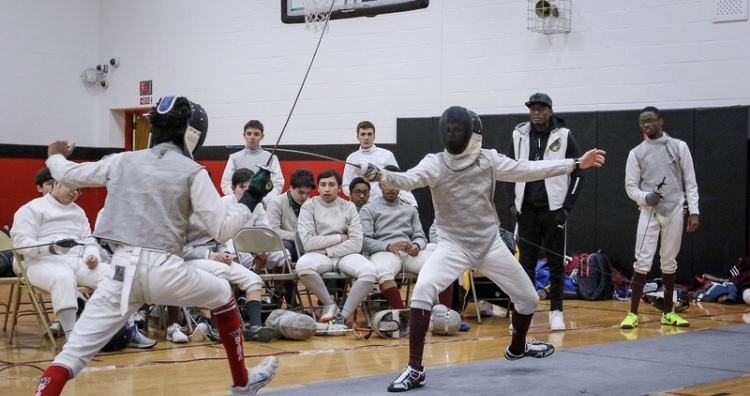 Lucas Motir took 1st place in the District for individual Epee as Saint Peter’s Prep’s Sabre and Epee Fencing squads took home first place at the District 5 Championships held at Montclair High School on Sunday. The Sabre squad, which consists of Bryce Belser, David Garrelick and Robert Walker, only dropped one bout while SPP’s Foil squad, who was without its A-strip Christian Matos due to injury, finished second. 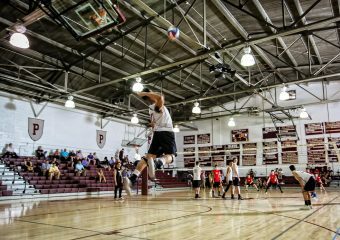 Matos, however, made sure to make it to the match and support his squad as captain. Garrelick attained a second place finish in Sabre and Belser took home third place. 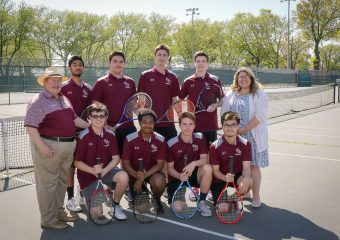 All three squads qualified for the State Squad Championship later in the season while Motir, Garrelick and Belser qualified for the Individual State Championship later this season. Congratulations to head coach Abdoulaye Thiam on a great season thus far! Coach Thiam’s Olympic level knowledge has improved not only the Sabre squad, but has also worked wonders for the Foil squad.